Health Systems and Policy Research is published every three months and its main target is to provide continuous education and information to health professionals. Studies referring directly or indirectly to health science are mainly published in this journal. Original (Research) studies:Original Articles are scientific reports of the results of original clinical research, including experimental, retrospective or perspective studies which are conducted basing on a research protocol. Reviews. Interesting topics relating to health sciences are developed, written by two authors. NOTE : The text of an original or a review study is limited to 15 typed pages, including an abstract, tables, figures and references. Articles-comments of the Editorial Board. Interesting cases:They are accepted only if they are about new treatments of nursing or medical problems and only if a new methodology is followed as far as their treatment is concerned. They are always accompanied by a summary in the English language consisting of approximately 200 words and 3-4 key words. The text of the study is divided into Introduction, Description of the case(s), Conclusion. The bibliography is small and absolutely specific to the topic. Foreign language projects: They are accepted for publication only when they are accompanied by an extensive informational summary in the Greek language. Legislation: Articles published in the Greek Government Gazette, related directly or indirectly to Health Science. Every submitted study is judged by at least two (2) adjudicators, who are not members of the Editorial Committee of the Journal. In case of disagreement a new adjudicator is being assigned and the decision on the publication or not, is being made by the Editorial Committee. The names of the adjudicators remain strictly confidential. The authors are informed within 4 weeks about the acceptance of the study. Usually, a study is given to the authors for modification before the publication. The modified study should be returned to the Journal within 3 weeks, otherwise it is considered withdrawn. 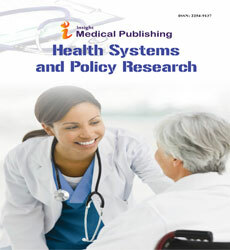 Health Systems and Policy Research accepts manuscripts prepared in accordance with the requirements of the International Committee of Medical Journal Editors, as updated in April 2014. ImedPub Publication group is self-financed and does not receive funding from any institution/government. Hence, the Journal operates solely through processing charges we receive from the authors and some academic/corporate sponsors. The handling fee is required to meet its maintenance. Being an Open Access Journal, Journal of Health Systems & Policy Research does not collect subscription charges from readers that enjoy free online access to the articles. Authors are hence required to pay a fair handling fee of 1819$ for processing their articles. However, there are no submission charges. Authors are required to make payment only after their manuscript has been accepted for publication. If you want to withdarw the article, minimum charges will be applied. Title of the article: The title should be concise and informative using terms that can be readily indexed. The subtitle (if there is one) can be also written. If two authors are of the same level at their work then the number of the superscript is the same. Abstract: The abstract should include no more than 250 words, divided into the following subheadings: Background, Method and Material, Results and Conclusions. Avoid abbreviations and reference citations in the abstract. Keywords: Below the abstract authors should provide 3-5 key-words which assist in cross-indexing the article. Corresponding author: The name, address, telephone number or e-mail of the author to whom correspondence should be sent. In the second page begins the text of the article. If the article is a research study, it should follow the structure: Introduction, Methodology, Results, Discussion, Tables and Figures, Conclusion and References. If the article is a review or any other study, other descriptive headings and subheadings can be used. All review articles undergo the same editorial process as original research reports. Cite all tables and figures in the text, numbering them sequentially and place them before references in the same order as they appear in the text, with Arabic numbers (Table 1, Table 2) followed by a brief title before each table. If you cite a picture which has been published elsewhere, then the source of origin should be noted and the written permit of the editor who has the exclusive right of republishing it. In case there are pictures of people they should either accompanied by a written permit of using the pictures as they are, or otherwise no faces must be discernible. The pictures must not be more than the dimensions of the pages of the Journal (width 17 cm height 24.5 cm). References: The Vancouver Citation System is followed, which means that references are written at the end of the manuscript and their numbering should be according to the sequence mentioned in the text. For more information about the way references should be written, consult the National Library of Medicine's on-line guide.